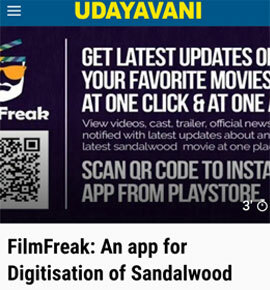 Filmfreak - Digitizing Sandalwood Film Industry! One stop shop for movie lovers & movie makers. Engage with your favorite celebrities and know more about their upcoming movies. Play official contests to win exciting goodies. Filmfreak was established in 2016 with a vision to digitize sandalwood film industry. We are recognized as one of the 77 most innovative startup's of the year from Elevate 2018 which is organized by Startup Karnataka (Initiative by Govt of Karnataka). At Filmfreak, we aim to provide additional strength and support for producers & movie makers by creating an exclusive promotional platform for Kannada content to stand out of competition. We are working on domestic and international partnerships with OTT platforms and Brands who are interested in working with Entertainment industry to provide additional revenue source for producers which help them increase the budget and provide better quality of content to the real world. 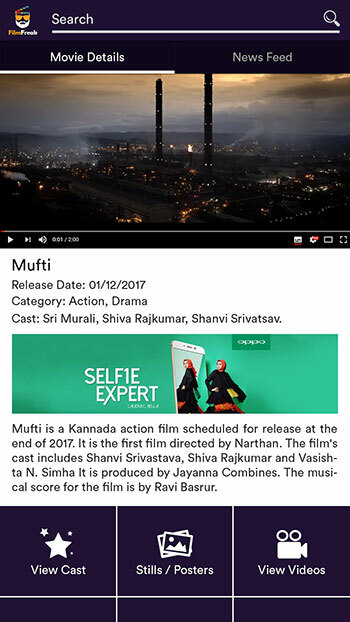 Filmfreak is not just for Producers or Movie makers, Filmfreak will be the Best mobile or web application in Indian cinema. 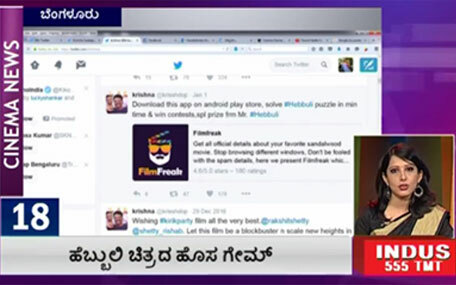 After witnessing a huge success of our beta version which was launched in October 2016, Filmfreak was officially one of the most appreciated digital partners of Kannada film industry. 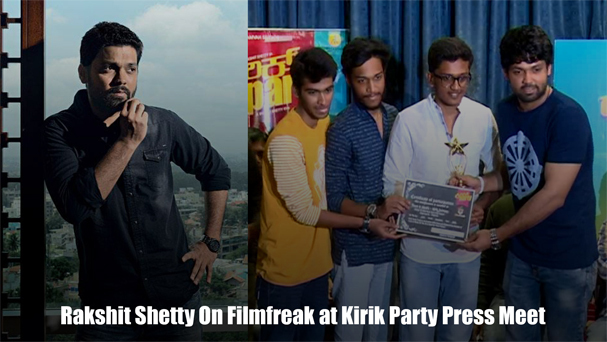 Filmfreak was the official digital partners of Kirik Party, Hebbuli, Urvi, etc., Contests which was organized by Filmfreak targeting youths was one of the best till date. 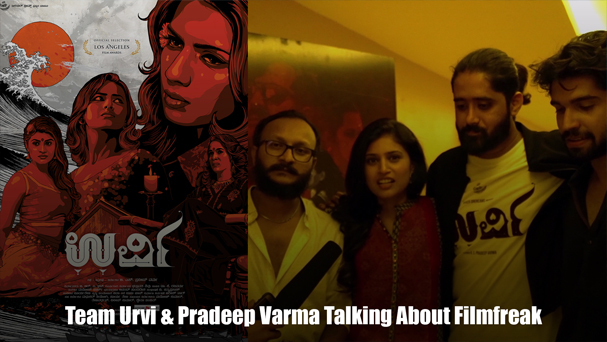 To know more about how audience and critics reacted to filmfreak "Check out the official reviews". Are you Innovative? Are you Dedicated? Are you a Dreamer? Are you a Film freak? You are the one we are looking for. Check out the openings. Stop browsing multiple windows to get your favorite movie updates. It’s time to get Filmfreak. View all upcoming movies and release dates of your favorite stars. Get box office and other updates of all newly released movies of sandalwood. View movie synopsis, key highlights, release updates, etc.., all at one place. Check out artists, technicians, production details and partners of your favorite movie. View or download official making stills & posters of your favorite Kannada movie. Enjoy watching all latest videos of your favorite movie at one place. Read or write genuine reviews of a movie and help movie makers to spread a word. Participate in official contests and movie merchandise and other goodies. Sign up with us to get notified about launch updates and win amazing goodies at your finger tips! Hello , Thank you for showing your interest in Filmfreak. 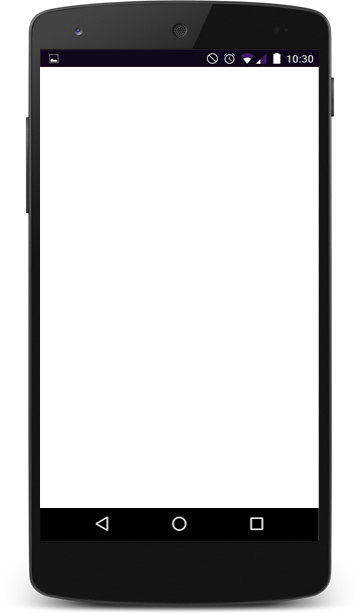 You will be the first to receive all official updates about Filmfreak. Stay tuned with us for unlimited entertainment. We are overwhelmed with the love and support from both people of Karnataka & Sandalwood film industry. Check out few spotlight moments from our journey. We would love to hear from you. Feel free to call back or checkout the following links to explore more about us! Copyright © 2018, All rights reserved Filmfreak India Pvt Ltd.